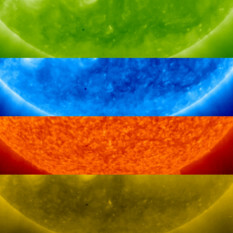 Planetary transits of the Sun by Mercury and Venus don't come along very often, and when they do we make a big deal of it because, well, it's really cool! If there's one thing I've learned after decades of studying the first human voyages to another world, it's that there is always more to discover about Apollo. 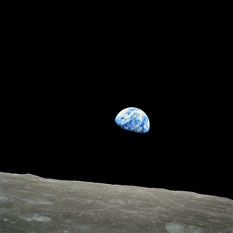 Case in point: The Apollo 8 Earthrise photo that became one of the iconic images of the 20th century. Watch and enjoy this full video of Chang'e 3's descent onto the lunar surface. 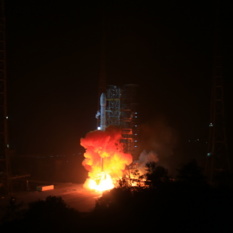 On December 1 at 17:30 UTC, Chang'e 3 launched atop a Long March 3B rocket on a direct lunar transfer trajectory. It is scheduled to enter orbit December 6 and land December 14. The rocket was equipped with cameras that recorded thrilling video of the launch and final departure of the probe. Comet ISON has entered the field of view of the STEREO HI-1A camera, and, in an awesome animation, it joins a large cast of characters already present there. 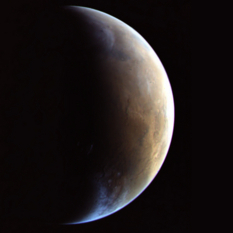 I've been delving in to the Mars Express image archive this week, checking out its images of Phobos, and found a couple of really cool time-series of images to assemble into animations.